It’s been an excrutiating week for me. I’m still waiting on my camera to arrive! For those who don’t know, I recently won my first digital SLR camera thanks to the help of the readers of my blog! That was last Thursday; it’s been one week and I haven’t received the camera yet, although apparently I was supposed to have received it already. I have emailed about it, and do hope it’ll arrive soon. The best thing to come out of this long week was hearing my 5-year-old daughter read a book all on her own by looking at the words instead of the pictures for the first time ever. She started kindergarten earlier this month and is learning so quickly. It really does seem like it was perhaps a month ago that I was looking at her little face, only a few months old, and I could not for my life imagine what she would be like when was school-age. It has been quite an amazing journey to this age, and to hear her and watch her read the actual words was breath-taking! 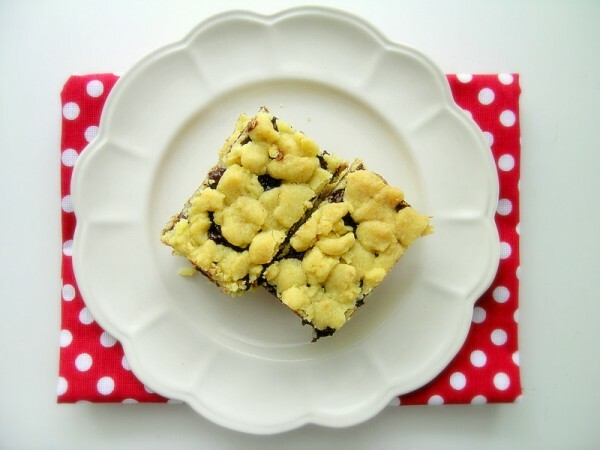 Speaking of that clever little girl, she absolutely loved these orange marmalade and chocolate shorbread bars that I recently made. This is my first experience with marmalade, so I had to taste it by itself and I did not like it one bit. I only hoped that it would taste better in the final product. And it did! This recipe comes from MasterChef Australia magazine. It is essentially a 4-layered bar, or slice. 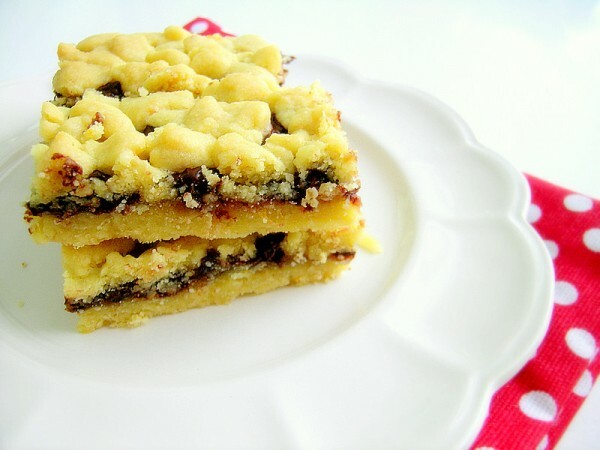 The bottom layer and the top crumbly layer is a basic shortbread with grated orange peel. The middle layers are the orange marmalade and chocolate. The taste is intensely orange and chocolate! The original recipe says to use milk chocolate, but I opted for a 50% cocoa bar from Lindt for a slightly darker chocolate flavor. I think I preferred it this way. 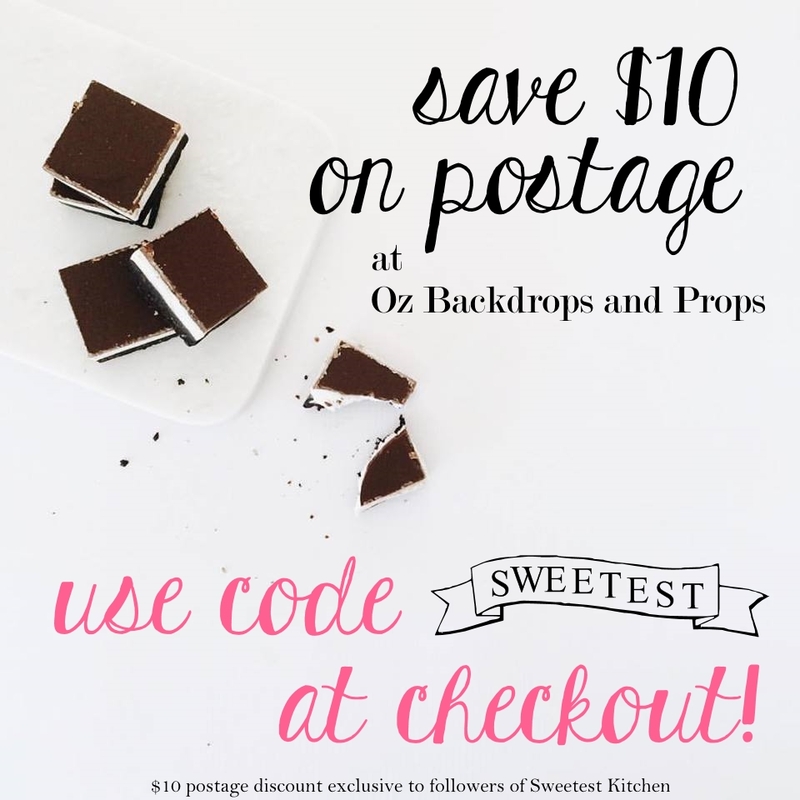 These are really delicious – if you love orange and chocolate then I highly recommend making these! Chances are, you already have all the ingredients in your pantry and they’re pretty easy to make too. Do you know who else, besides my daughter and I, loved these bars? My 18-month-old son! He’s a relatively picky eater – one of those who likes a certain food one day and can’t get enough of it, but the next day he’ll want absolutely nothing to do with it. His food has to be just right, has to taste just right, well, if you have an 18-month-old then you probably know what I mean! So I was surprised that he enjoyed these bars so much. Oh, and by the way, these taste lovely with coffee! Orange-flavored shortbread biscuit with layers of chocolate and orange marmalade; a perfect teatime treat! Line the base of an 18cm x 28cm slice pan. Process flour, oats and 1 teaspoon salt in a food processor until oats are finely ground (I did this in a blender because I don't have a food processor). Using an electric mixer, beat butter, sugar and orange zest until light and fluffy. Gradually beat in flour mixture until shortbread mixture comes together in small clumps. Press just more than half of the shortbread mixture over the base of the prepared pan, then, using a spatula, level and smooth the top. Spread over marmalade, then scatter with chocolate. Crumble over remaining shortbread mixture, then refrigerate for 30 minutes. Meanwhile, preheat oven to 150C. Bake shortbread for 45 minutes or until light golden. Cool in pan. Cut into 24 slices and serve. The shortbread will keep in an airtight container at room temperature for up to 3 days. Yum these sound delish! We love the chocolate orange combo and think the orange marmalade is such a genius idea! That looks wonderful. I love the combo of the orange marmalade and chocolate. Yum!